Oncidiums are a large and diverse species of orchid. With over 600 varieties. Like the Phalaenopsis, Oncidiums are an excellent choice for beginner orchid growers. Oncidiums do well in the windowsill. Some say they do even better in a home environment than they do a greenhouse because humidity levels are lower. Unlike Phalaenopsis orchids, Oncidiums are sympodial. This means that they grow from a rhizome rather from a single stem. Another difference is that they have pseudobulbs where they store water. These pseudobulbs should be firm and smooth. 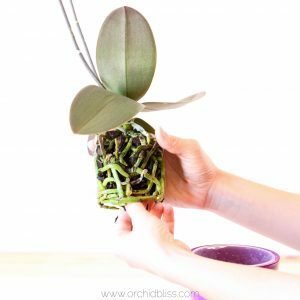 While in active growth, meaning you can see roots and leaves growing, keep the orchid well watered. When not in active growth allow the Oncidium to dry out a bit between watering. This is a bit different watering approach than the Phal. Because the Phal doesn’t have water storage it should never completely dry out. Pseudobulbs store water for the Oncidium. Oncidiums appreciate bright, indirect light. 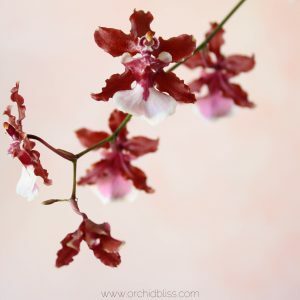 If you are also growing Phalaenopsis alongside an Oncidium, keep in mind that the Oncidium is a medium-light orchid, while your Phal is a low-light orchid. 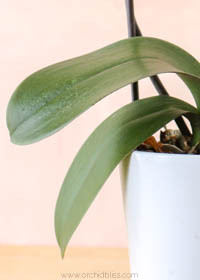 Place your Oncidium a bit closer to the window than you would a Phal. If you own both an Oncidium and a Phalanenopsis, one of the first things you probably observed was how different their leaves are. Phalaneopsis leaves are much thicker than that of Oncidium leaves. If the leaves on your Oncidium look pleated one cause may be lack of humidity, or it may just be a poor cultivar. 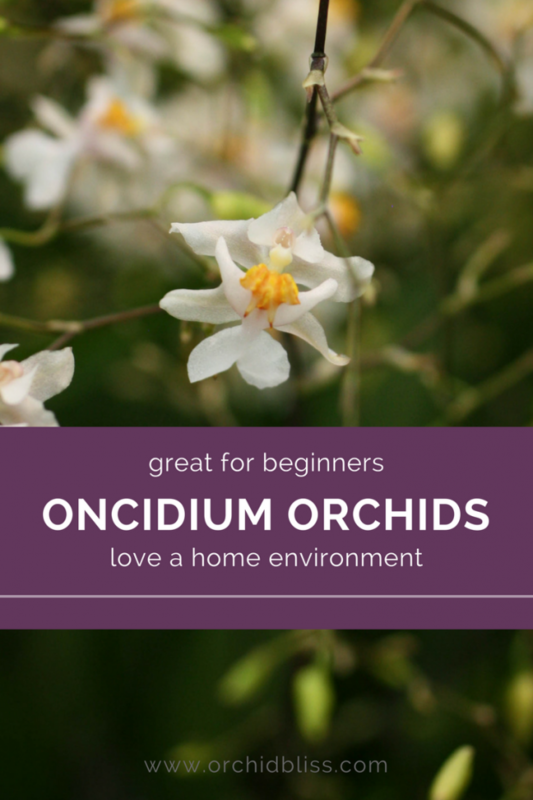 Oncidiums like humidity levels between 40-80%. For home growers, keep humidity levels between 40-50% as higher levels promote mold growth. You may also notice dark spotting on the leaves. These black or brown spots are likely caused by bacteria. Do not be alarmed; spotting is pretty normal for Oncidium orchids. 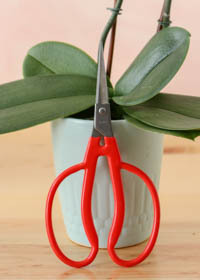 Increasing air circulation with a fan pointed away from your orchids will help alleviate the spotting. When watering water copiously letting the water to flow through the potting mix. After watering, allow the potting mix to dry between watering. As stated above, Oncidiums are prone to spotting on their leaves. In addition to good air flow, taking care to keep water off the leaves when watering may also help to prevent leaf spotting. Use a potting mix that allows water to flow freely through the mix and provides air to the roots. Many Oncidiums are tightly packed in potting material that does not promote long-term health. The potting mix that I use and trust is by Bonsai Jack. 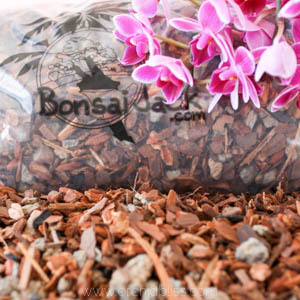 This mix is made primarily of Fir bark and supplemented with horticulture charcoal and perlite to allow optimum air flow to the orchid’s roots. Both Oncidium and Phalaneopsis can grow aerial roots, though Oncidium roots are much thinner than Phalaenopsis roots. Always leave these aerial roots alone. Do not tidy them up by trimming them away. Just accept them and let them do their thing. 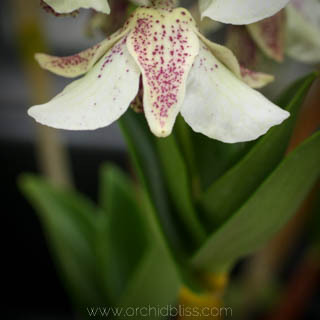 One notable difference between Phalanenopsis and Oncidiums is that several Oncidium varieties have a delightful fragrance. Sharry Baby is known for its chocolate-like aroma. Twinkle is another variety with a lovely scent. Sharry Baby has a distinct chocolate aroma. Oncidiums can put forth an amazing profusion of flowers, but once the flower stalk is done blooming, it’s done. The Phalaenopsis may continue to bloom off the same stalk for months on end. After several months, or even a year, you’ll see flower stalks begin to emerge on your Oncidium. To promote reblooming, your Oncidium may appreciate cool temperatures and a slight decrease in water during winter months. Oncidiums can put on a spectacular show of flowers. Oncidium orchid varieties do well in a home environment. If you’re used to growing Phalaenopsis orchids, remember that Oncidiums prefer more light and have pseudobulbs, making them more drought tolerant than the Phalaenopsis. 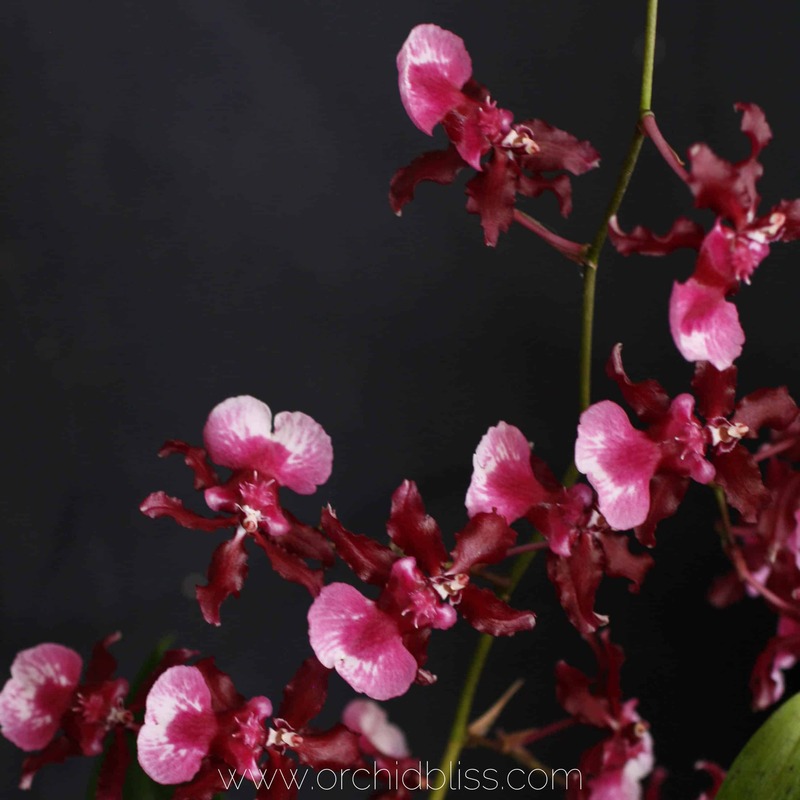 What do you like about growing Oncidium orchids? 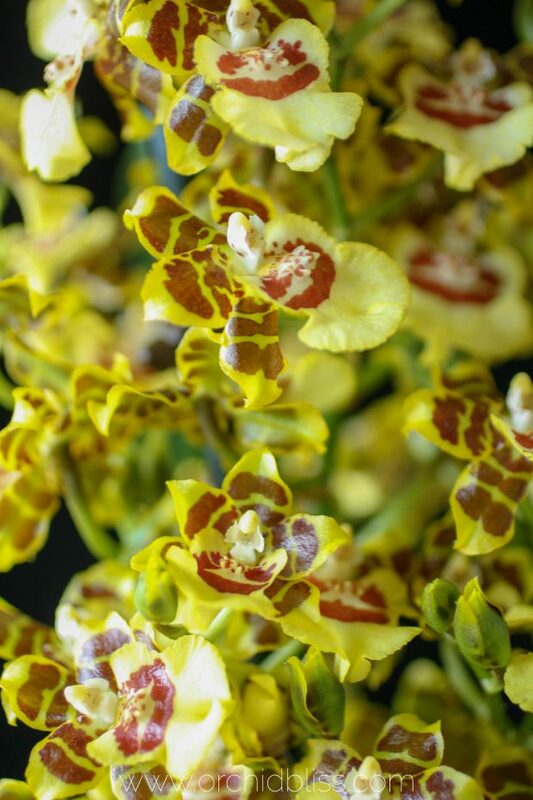 What tips can you share to help other Oncidium growers successfully grow this orchid? For optimum health, repot your orchid every 1-2 years. Come learn how. The room I have then in is full glass floor to roof with dark roof. It gets very warm during the day light hours and the temp. drops as the sun goes down. I’ve had 4 Oncidiums for 2 years now. Sharry Baby just finished blooming, but this time it only gave me 1 spike. Last year it had two very long spikes and lots of flowers. The flower spikes were 18 inches long. Now its only 7 inches and has only 6 flowers. I’m still waiting for my Wildcat yellow to bloom still in spikes. Can’t wait. I love Sharry Baby! My recommendation for getting more flowers is to increase the amount of light Sharry Baby receives. Oncidiums are considered a medium light orchid, so you don’t want the Oncidiums to get too much light. Bright, indirect lighting is best. Good luck on your Wildcat! Reblooming orchids is so rewarding. Let me know if you have any more questions. 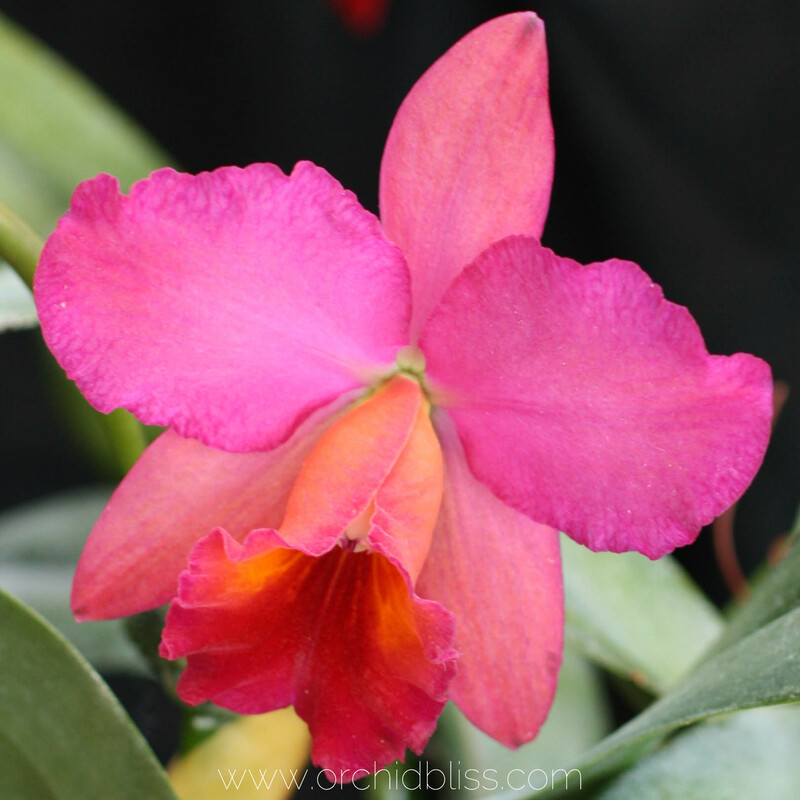 I love orchids and I am so glad that I stumbled across your post on Instagram. Reading your tips has inspired me to go home and take better care of my orchids. Thank you I am going to try your tips and see what happens! 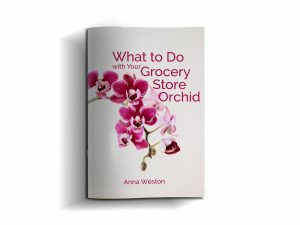 Let me know if you ever have any questions about caring for your orchids! My oncidium is doing a very funny thing this year. The stem did not grow out straight. Instead it is blooming while growing it resulting in a curved and bent stem. It has been doing this for over a month and keeps having new blooms but thr stem is curled into itself.. What did I do wrong and how do I avoid this next blooming season. Help! I’ve experienced the same thing with a Brassia orchid. 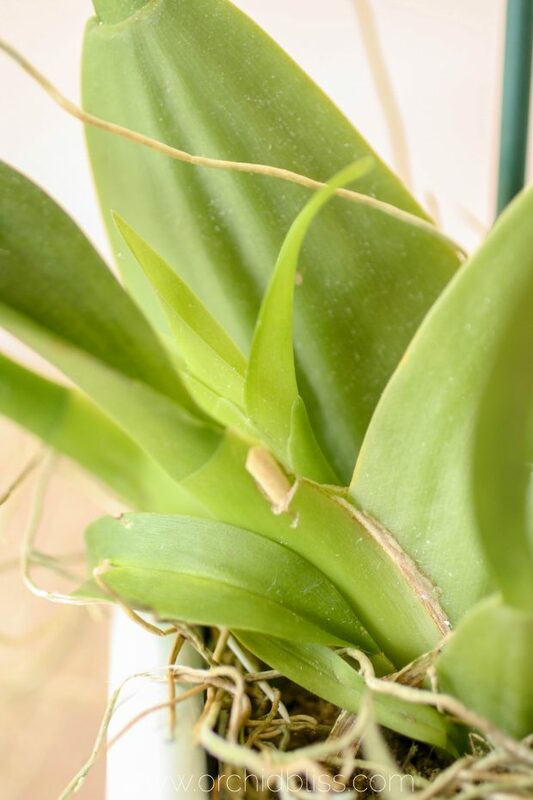 If the flower stalk is weak, your orchid may need more light. If the stalk is strong, it just grew that way naturally. If it is any comfort, when my Brassia grew other flower stalks, they were all normal. You could try staking the stalk and see if that helps. Once a spike is done how do you trim it or do you let it die back on its own? I still have two stems blooming but two others are done. Once a spike is done how do you trim it or do you let it die back on its own? I still have two stems blooming but two others are done. Also some of the leaves are a bit dry and accordianed looking. Others are fine. Not enough water has been my guess but the bulbs look ok.
For Oncidium orchids, you can cut the flower stalk off at the base. One reason your leaves may have accordion-ated is lack of humidity. It is permanent, but add more humidity may prevent future leaves from curling.